EYELINER PENCIL | These are undoubtedly the first things I tried and immediately fell in love with from PIXI. 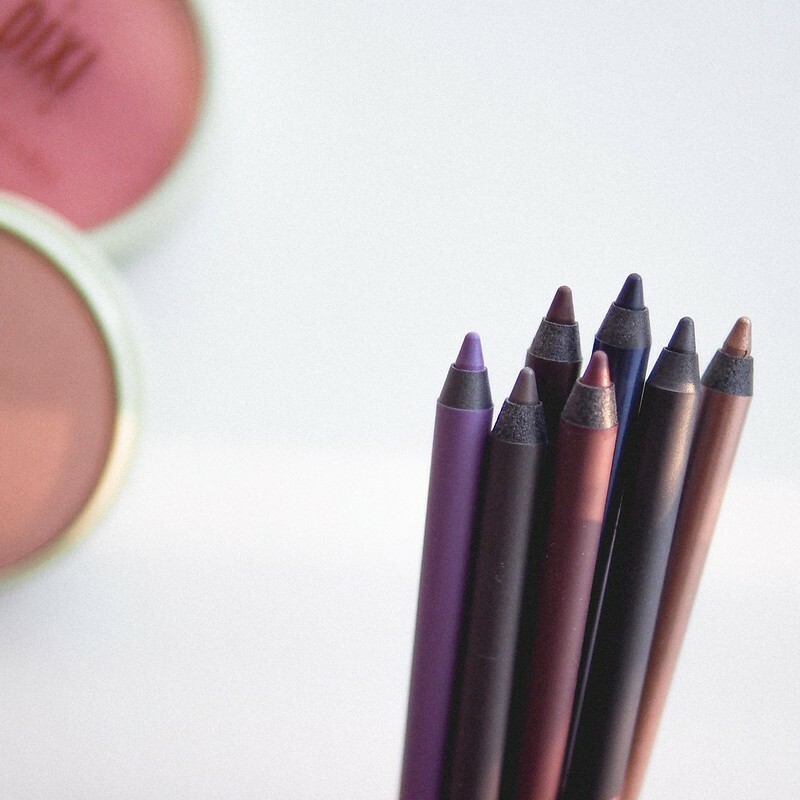 True to it’s name, these Endless Silky Eye Pencils* come in a rainbow of shades (21 the last time I counted) and are super smooth to use. The creamy texture feels almost like an oil pastel but there’s no greasiness here, it dries rub-proof to the touch in just a few seconds. In one word, this is just easy to use and doesn’t make a fuss. It’s labeled as waterproof and although I’ve never actually taken it out for a dip, I can say these are just as long lasting on me as pricier brands. If you have oily eyelids, these will still require a mid day touch-up but hey, I’ve also never met an eye pencil that didn’t. 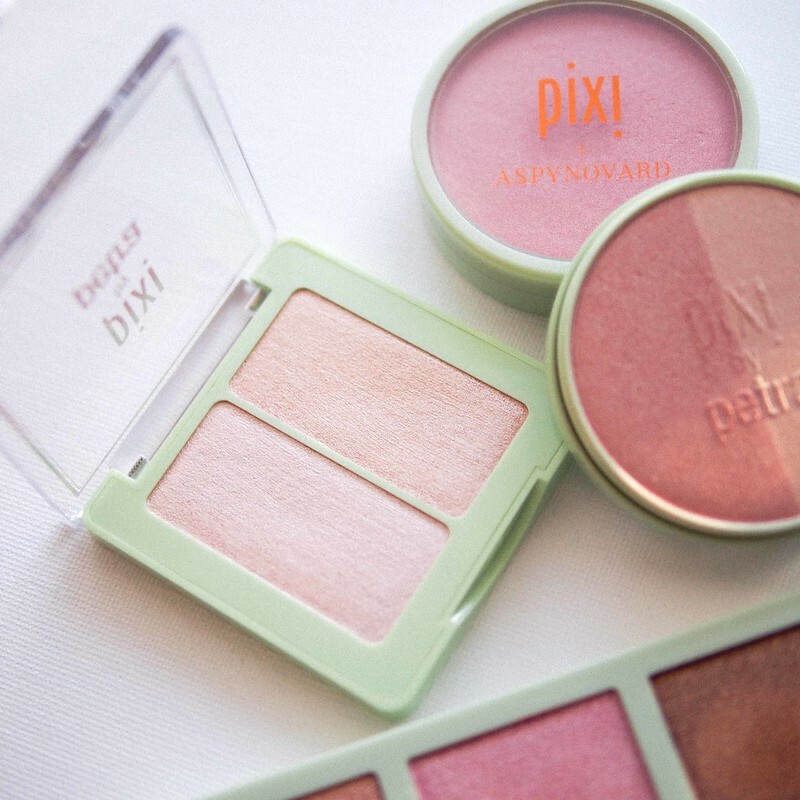 HIGHLIGHTER/BLUSH | You may have tried all the big popular brands but have you ever tried a PIXI blush or highlighter? Here I’m showing the Beauty Blush Duo* alongside the newer Glow-y Gossamer Duo* both of which have soft spreadable textures and just the right amount of pigment. The blushers offer a finer sheen on the cheeks while the actual highlighter impart a faerie dust effect. Between the permanent range and their often limited edition collections, there’s almost always a few cheek options to choose from ranging from golden to pinky tints and most of all the hues are just very skin flattering. SHIMMER-METALLIC SHADOWS | Keeping in line with metallics and shimmers, I find the glitzy shadow formulas from PIXI to be great as well and they are a newer discover for me. Take this Sweet Glow Palette* from the Cafe con Dulce collection for example, the powders have a creamy, almost moist texture which allows the colour to spread evenly. I would say their shine based formulas are consistently more reliable than their matte options which can be a hit or miss. If you can still get a hold of this exact limited edition palette, it’s a fun one to own and explore. 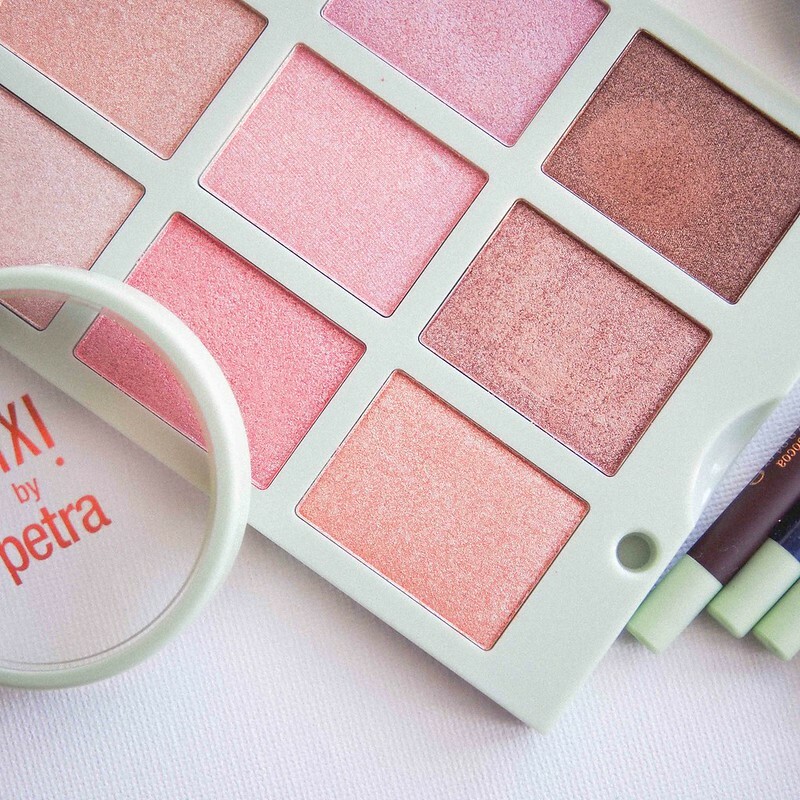 Over the years, I’ve come to the definition that PIXI does “pretty” really well – everything from the choice of colours to formulas and overall aesthetic, it says fresh, youthful and polished. Next time you walk past the beauty aisle, these 3 picks should get you started on the right path.